Sailing the World 2017/2018: Eye Patch Fundraiser! I'm am back in the UK and after a successful visit to Clipper UK and JST this week, I am able to let you all know that I have another fundraising activity underway! 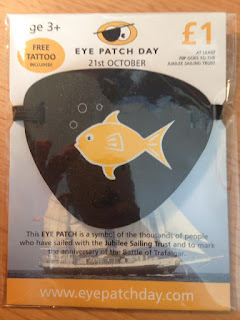 I was gifted a box of Eye Patches from JST, and I would love to sell them to you lovely followers to help me raise funds for this incredible charity! How do I purchase an Eye Patch (or two...)? 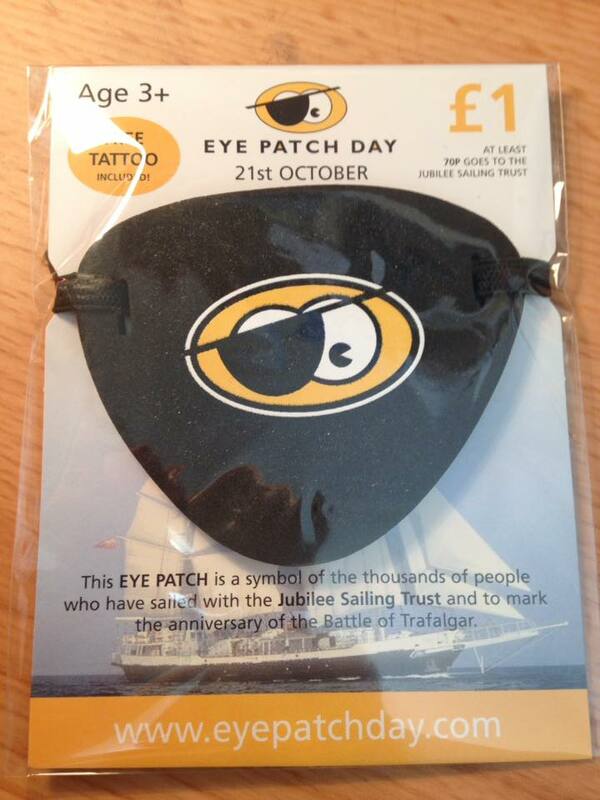 1) Chose which design patch(es) you would like. 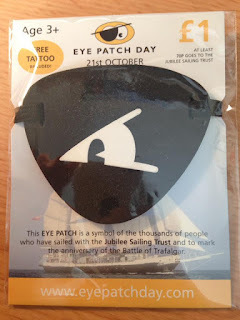 3) Send me a message via my OFFICIAL FACEBOOK PAGE or use CONTACT ME (on the left hand side of the homepage) on this blog to send me; Design Number, Amount of Patches, Name and Address, and e-mail address) Once I have posted your eye patch, I will send you an e-mail confirming dispatch. 4) Once you receive your patch(es), don't forget to send me a picture (pirate attire optional) to my OFFICIAL FACEBOOK PAGE so you can become a crew supporter! Your pictures will also be added to my blog!